Prior to using our scaffolding systems, each person should read and understand Work Smart Platforms’ installation instructions. Brunsen Pty Ltd (Work Smart Platforms and part of the SSS Roof Scaffold Group) assumes no liability in the event of improper roof scaffolds installation, product misuse or failure of roof construction. DO NOT use Work Smart Platforms roof scaffolding systems if any equipment is damaged. 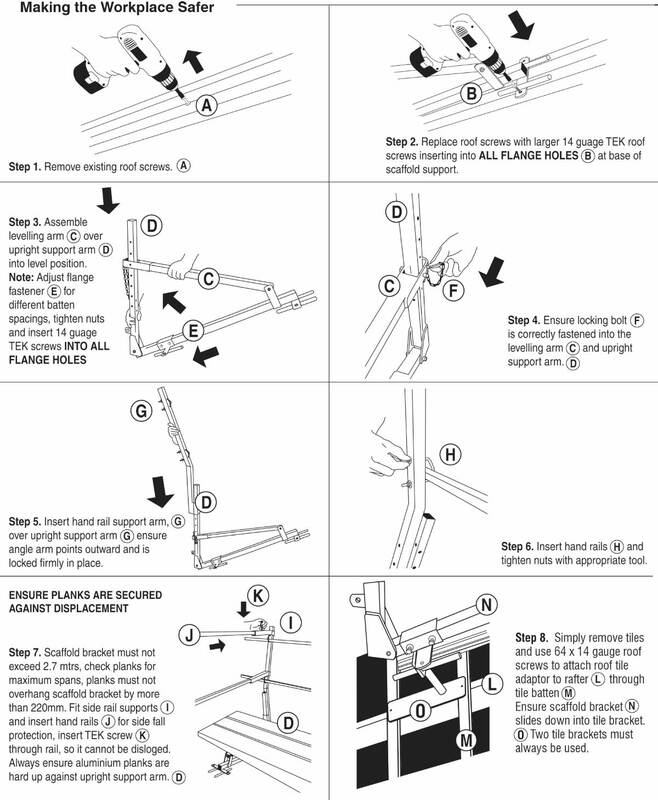 The following instructions must be kept with the roof scaffold systems at ALL TIMES. Planks and treads should be securely fastened. All care has been taken in the design and manufacture of our award-winning roof scaffold systems. But Brunsen Pty Ltd, or any employers, will not be responsible in the way this item is installed or used by any persons. It is up to you to comply with all relevant state requirements. State requirements override these directions. You can also download the comprehensive roof scaffolds instruction sheets including diagrams, or read more about our scaffolding systems and browse our roof scaffolding for sale online.